Netflix Revives Unsolved Mysteries Because Your True Crime Thirst Can’t Be SatedBut can it even be real without Robert Stack? Skeleton Found on Vatican Land Could Help Solve One of Italy’s Darkest MysteriesSome think the remains could be related to a 1983 case in which two teen girls went missing, never to be discovered. 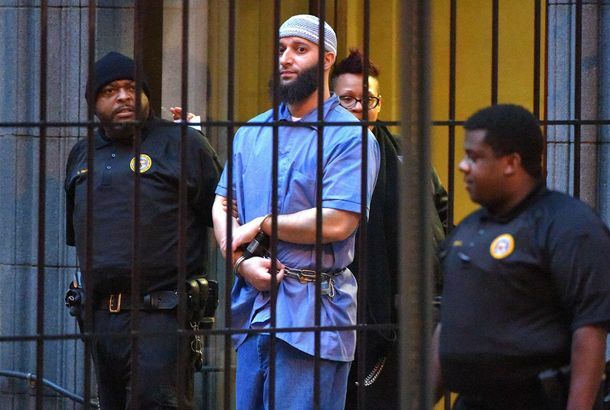 HBO to Air the Docuseries The Case Against Adnan SyedIt will examine the case made famous by the Serial podcast, about the murder of Baltimore teenager Hae Min Lee. Austin Package Bombs Appear to Be Targeting Prominent Black FamiliesThe two people killed by the bombs are both linked to a historic black church in the Texas capital. No One Can Decide Whether This Is a Picture of Bill Murray or Tom Hanks It’s the dress dilemma all over again. Mystery of Missing Hair Ties Finally SolvedThey’re in the belly of a dog in Pennsylvania. Even Jennifer Lopez Is Mystified by Her Perma-Youth Baffled by her own agelessness. The White House Is Protecting Obama’s Coffee Preference Like a State SecretMaybe he’s a really big fan of pumpkin spice lattes? Is This Man the Zodiac Killer? His Son Says YesSee a mug shot of Earl Van Best Jr., whom a new book claims was the notorious serial killer. Is 19-Year-Old Miranda Barbour Really a Mass Murderer?Weighing the evidence in a perplexing case. Lindsay Lohan and the Mystery of Half a Stolen Fur CoatSuper Bowl edition. Barclays-Area Shake Shack Will Have Big-Deal Mystery Neighbor“Very successful Manhattan restaurateurs” stick together. Turtle Doves Poisoned by Sunflower SeedsAwful things. Scientists: Mass Deaths of Creatures Occur All the TimeNot to worry! 5,000 Dead Blackbirds Had ‘Hit Something Very Hard’When they shouldn’t have been out flying in the first place. Thousands of Blackbirds Dropped Dead From the Sky in Arkansas This WeekendHuh? The Mysteries of the Goldman Sachs Partnering Process, RevealedA former Goldman Sachs partner describes one of their most sacred rituals. Mystery of the Kung Fu Bing Panda Deepens in BensonhurstFiberglass pandas and “Chinese tacos” are turning up all around town. Is Padma Getting a Dell?Has the identity of her baby daddy been revealed? Is Jennifer Lopez the Mother?Sadly, probably not. Shockingly, 46 percent of Jay Leno’s Viewers Watch the Show on Their DVRsHorrifyingly, that means over 3 million people have season passes set up for the show. Is Third Eye Blind Really One of the Most Revered Bands of the Nineties?It’s quite possible! Why Are All the Music Magazines Dying?Your guess is as good as ours! But that said, we have some theories. Of course we do! Who’s Still Netflixing Crash?Why is ‘Crash’ still No. 1 on the Netflix top 100? So, Who Exactly Are the Main Suspects in the Wolverine Leak?One thing is certain: There’s no shortage of them! Dear Courtney Love, Maybe Twitter Isn’t the Right Medium for YouShe clearly doesn’t respect the 140-character limit. Eel on the LamJoe Bastianich says that a $4,000 banana eel has gone inexplicably missing from the John Dory’s fish tank. Denied It, Supplied It?In a classic game of “smelt it, dealt it,” Frutarom refuses to take Bloomberg’s blame for the maple-syrup odor. Breaking: Mayor Bloomberg Reveals Source of ‘Maple-Syrup Events’New Jersey is to blame! How Exactly Did Clint Eastwood Spend Gran Torino’s $35 Million Budget?It certainly didn’t go to securing the world’s best actors, that’s for sure. Speakeasy Alert: The Mysterious Rhum Rhum RoomIs a hidden bar off St. Marks Place the latest Woodson and Ford?